So I was trying to change the vvt gear on my 2000 s40 and I never knew the gear has no key in the camshaft so it can be mounted in any position. I am now unsure of where the position the cam needs to be since it has spun. I took the cam sensor cover off and I seethe ring which the sensor reads off of. Is there any way to use that as a reference point to make another timing mark? Im so used to honda and toyotas ive never seen a car with no key to seat the gear. The intake gear was removed as well unfortuantely but that has only 3 possibilities of of going on.i tried doung a search but all I find are pictures of the gear marks which will not help as the gears have already been removed.some cars I notice have a slot on the back of the cam which you can just level with the vale cover but I have no such slot on mine. haha I have done that before. If you know which way the cam spun you can get close. Best way is to turn the cam back to where you think TDC is slap the gear and go play the lottery. turn the engine over by hand don't feel it clunk to a stop, try for starting it. If you are in the ball park it will start and run really poorly. If you are really close, it will run ok but you will have a CEL for the cam timing. If you are really lucky you won't get a code at all. Took me 3 hours of trial and error. I forgot to set up my cam locking jig. Because this happens a lot. images and links found through a simple Google search. I appreciate the help I was wondering do you have a pic before the cam lock tool was installed so I can see the pulse ring location undrr the cam sensor cover? you look at the machining grove on the cam, not he pulse ring. The reluctor (pulse ring) has 4 evenly spaced points so you can't tell from looking at it the correct position. You can get it fairly close by aligning the machined groove under the reluctor with the parting line between the cam holder and head. I used a wooden paint stick cut down to fit the space. The tricky part is when you tighten the one bolt to the required torque. The cam will try to move unless you hold it in place (this is the 2nd job of the cam alignment tool). You can compensate by aligning the CVVT slightly before the cut on the plastic cam cover and tightening so that the CVVT and cam aligns as you hit the torque number (80 lb/ft IIRC). I used a 3rd option and made a cam holder tool out of scrap steel. the intake cam rear were the sensor ring bolts on has extra key way for aligning the picup ring. should that groove be to the bottom faceing the sensor at top dead #1 and cam lobes for #1 intake and exhaust be just after open or streight up ? The 2000-2004 1.9L engine as written above has a reluctor wheel on the exhaust cam. 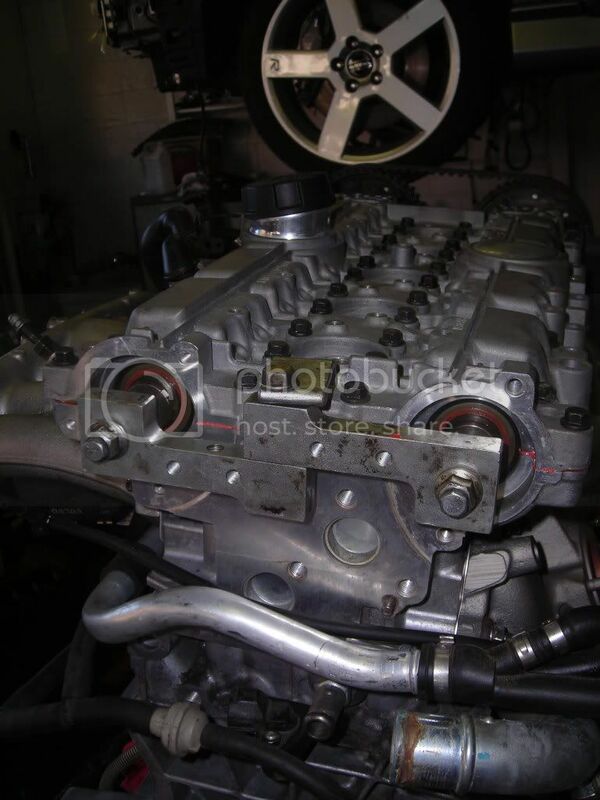 Are you writing about the 2004+ 2.4L or 2.5L turbo engines? On the 1.9L engine the groove in the cam is not centered meaning the reluctor only goes one way to maintain alignment. Otherwise I'm confused as to what you are referring to. Pictures? can this procedure be used on a VVT installed on an intake cam? I noticed that this procedure shows the exhaust cam with a VVT installed. Yes, with the cam tool installed. You are talking the newer 2.4L and 2.5L engines? I guess, my 2000 S70 engine has the VVT installed on the intake cam. 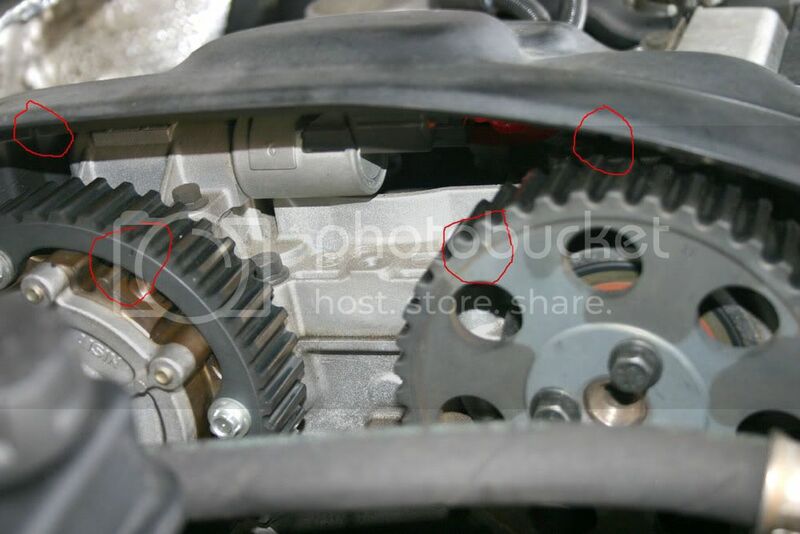 (B5244S) serpentine belt came apart which took out the timing belt. I'm in the process of rebuilding the engine. I finally understand the timing set up process but now am trying to learn the timing process for the VVT. god bless you all in this site ! 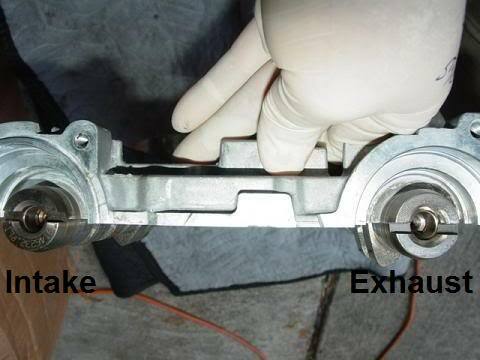 ive been a auto electromechanic for over 25 years and i just had a brain meltdown with the same situation wich was that i was trying to finish somebodyelses screw up and i was yanking my hair because i just couldnt get it in time, the excaust cam has no keyway on the sprcket and i didnt knew about it untill i started looking over your site, i have ALLDATA but still is not clear on how to time it and then i found you guys, THANKS FROM THE BOTTOM OF MY HEART !,now i know why i see so many v40s in the yuard, mechanics dont know how to time them and there goes the valves, luckyly i turned the motor everytime i tried a new timing set up,tomorrow i hav the knowledge and pics to atack the timing setup again,and IM FEELING LUCKY !! THANKS TO VOLVO FORUMS.COM !!! Here you go. I think this is easier to see how to time everything up. Way to totally miss the point, noob. 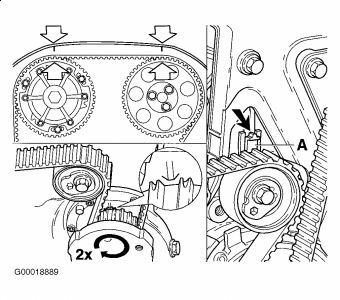 The OP's question was about how to recover the timing after you remove the VVT pulley which is not indexed in any way to the camshaft. hello, ok so my exhaust cam is leaking I got a new one, I bought the tool to hold the cams in place> I need help w..
1= which way do you loosen the cam gear bolt? 2= how many lbs tightened to? Its counter clockwise loose (lefty loosey , righty tigthty). Torque is 120 nm or 88 ft/lbs. I know this is a year old post but it was very helpful. Rolladan, the exh cam has a notch to align the reluctor ring, this notch goes down in roughly the 6:30 to 7 o'clock position.